Ball Valves make it easy to control the flow of all kinds of material: liquid, air, gas. With just a quarter turn of the lever, the pivoting ball with a hole in its center turns to either let material through, or stop it in its track. Want to purchase ball valves at wholesale prices? Learn how to become a PaulB Wholesale customer. Check out this 3D animation for a detailed view of how ball valves work. Valves can divert material 2-way, 3-way, or 4-way. The type of ball valve to choose depends on its application. For instance, some ball valves are not approved for use in potable water applications. For applications involving drinking water, be sure you’re installing ball valves that are safe for that use. For potable water use, choose a brass valve that is certified safe by the National Sanitation Foundation (NFS-certified) and by the American National Standards Institute (ANSI-certified). For high pressure use, you’ll need to look for the ball valve’s psi rating and match it to what your equipment requires. High pressure ball valves are made from carbon steel. We stock up up to 6,000 psi! You should choose a ball valve with PTFE seats and seals for high pressure application. PTFE stands for PolyTretaFluoroEthylene. It’s the chemical term for a plastic that has excellent insulating properties and low frictional force. You likely know it as “Teflon,” a DuPont trademark. PTFE won’t inhibit the flow of material running through pipes. 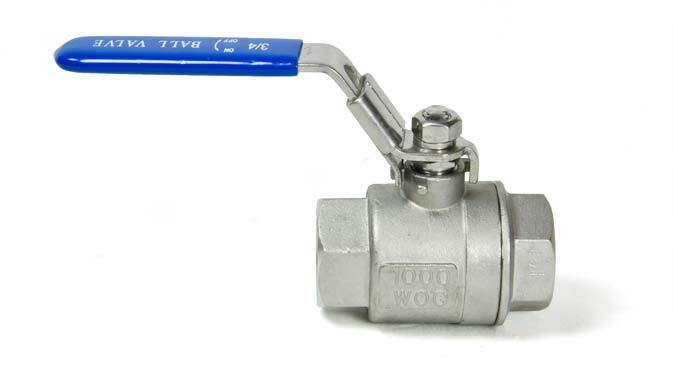 PTFE ball valves are also suitable for use in food services because they are non-contaminating. Mounted ball valves are affixed at top and bottom, which lessons valve torque. That makes them a preferable choice for high pressure use. Gate valves can be used interchangeably with ball valves as they both are designed to shut off flow. Why choose a gate valve instead? Gate valves are more economical, especially in larger sizes. Gate valves are classified as having a rising (or non-rising) stem. Non-rising stem gate valves are usually preferred and cost a little bit more. One of the reasons is that on a rising stem, any contamination, dirt, debris or corrosion are forced down into the stem seal when the stem is retracting into the valve. Gate valves more compact than ball valves and eliminate water hammer. However, ball valves are quick to turn on and off, make it easy to see if they are open or closed, and are very versatile. 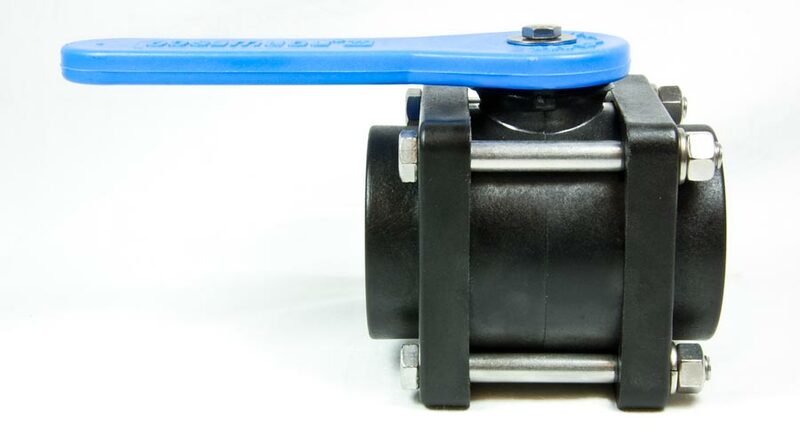 Look for approved uses before purchasing ball valves and gate valves, or ask a PaulB Wholesale sales representative to help you determine the proper ball valve for your needs. Sign up for PaulB Wholesale email alerts to get advanced notice of the 2018 sales on supplies.